With a manual whisk, cream butter and sugar in a mixing bowl until the mixture turns pale and fluffy. 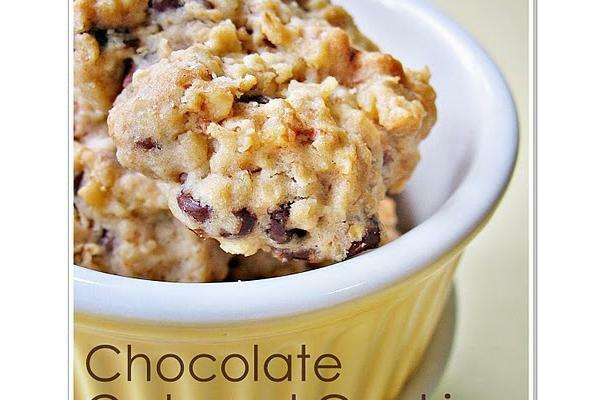 Add oatmeal, chopped chocolate, walnuts and mini chocolate chips. Mix well with the spatula. Bake for 8~10 mins or until golden. If necessary, rotate the baking tray halfway through the cooking time to ensure even browning.Transfer to a wire rack to cool completely. Store in air-tight containers.